Mother’s day is the perfect time of the year to show your loved one how much they are appreciated. The florists at Ellon Flowers are on hand to help you with making Mother’s day extra special by providing excellent customer service and same day flower delivery. Ellon florists are professional florists with years of experience in the industry and have the skills needed to create gorgeous flower bouquets perfect for any mother. 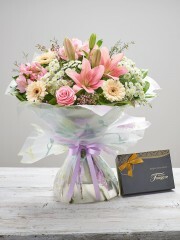 Flowers in Ellon aim to provide high end flower delivery to customers across the UK and worldwide. With an international network of expert florists in over 140 countries, Ellon Florists orders can be delivered almost anywhere in the world. With this network of florists you can rest assured that Ellon Flowers can ensure your Mother’s day gift can be delivered no matter where you or your recipient may be. 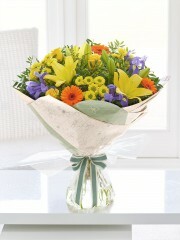 The florists in Ellon offer a range of delivery services for you to choose from. Ellon florists are able to deliver your Mother’s Day flowers six days a week and offer an excellent affordable delivery service with each order. 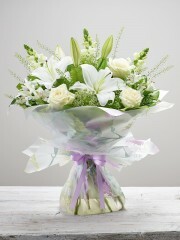 Ellon flower delivery offer a fabulous same day flower delivery service. 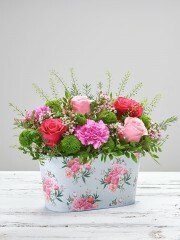 Place your Mother’s Day flowers order before 3pm and have your gift delivered the same day. You can sit back and relax knowing that your Mother’s Day order is in the best of hands. Our expert drivers take the utmost care to ensure that your flowers are delivered to your recipient in the same beautiful condition they left our Ellon florists in. Order your Mother’s Day flowers from Ellon Flowers and you are guaranteed to put a smile on your Mother’s face on this special day. If you have any queries regarding the delivery services available to you from the florists in Ellon, do not hesitate to contact the florists on 01224 638424. 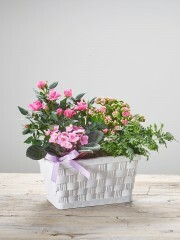 Ellon Flowers have a variety of flowers for you to choose from to send your loved one on Mother’s Day. Do not worry as our extensive range is guaranteed to have something to suit you and your mother. 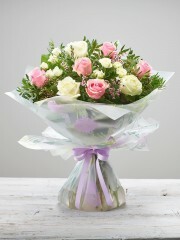 Florists Ellon offer various options for your Mother’s Day flower delivery. 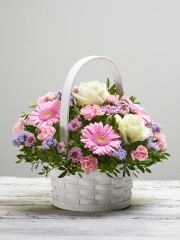 Our website provides a large number of Mother’s day flower bouquets for you to choose from. Alternatively, if you know what you would like to include in your Mother’s day flowers you can tell the expert team of florists in Ellon and they will assemble your order to your preferences. 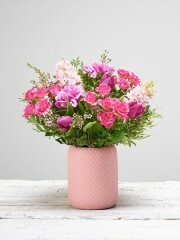 Finally, if you are unsure of what to choose or to include in your Ellon flower delivery do not worry as the expert florists in Ellon have the skills to design and create a unique bouquet perfect for your Mother’s Day gift. In addition to the fabulous Mother’s Day flower bouquets available to order for delivery from Ellon flowers, there are a number of gifts you may wish to include. These Mother’s Day gifts include an array of fine wines, balloons, delicious chocolate, luxurious champagne, and many more. You can also order these Mother’s Day gifts on their own if you would prefer. Adding these gifts to your Mother’s Day flower delivery from Ellon Flowers will undoubtedly bring joy and happiness to your Mother on this special day. The flowers available for Mother’s Day from the florists in Ellon come in a variety of colours, shapes and sizes. 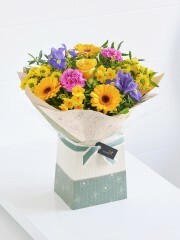 There are flowers to please all at Ellon flower delivery. As well as creating fabulous Mother’s Day flower bouquets, the expert florists in Ellon take care of the small details that make your flower delivery in Ellon everything you were hoping for. Ellon flowers will beautifully wrap your flowers and provide cards that will allow you to tell your mum how much she is loved on this special day.